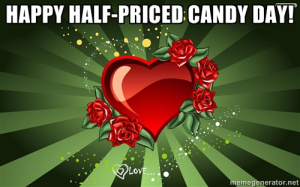 So this week marks Valentine’s Day, which, honestly, is just a sanctioned excuse to buy candy. Even better: the day after the holiday, we can get it for half price. Win for everyone. This week, in honor of all the love, we’re going to look at love in film. Specifically, we’re going to view the healing power of platonic female love in Maleficent. On Thursday, we’re going to recommend the indie Bokeh, which may not be for everyone, but I felt to be worthwhile. So grab that bottle of bubbly and get ready to have some chocolate.